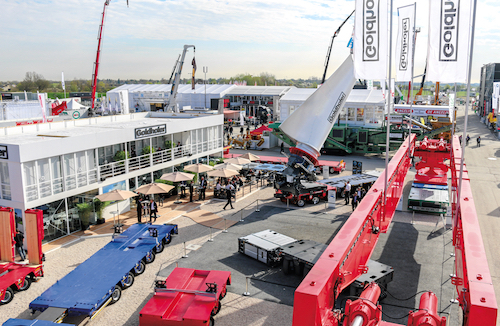 Specialised transport equipment manufacturer Goldhofer will present an overview of its current range including the TU 4, a four-axle trailer for the transport of construction machinery weighing up to 31.8 t, which is equipped with a brand new drawbar and improved ramp operation. Visitors will also be able to see the versatile Allrounder with its flexible loading concept for construction site operations as well as the new STZ-PK 8 and MPA RM low-loader semitrailer and the new Faktor 5.5 (a lighter version of Faktor 5). The « Ventum », a fivefold extendible flatbed semitrailer with a maximum length of 72 meters, which in combination with the « Bladex » blade tip lifting device constitutes a complete solution for transporting wind turbine blades over 70m will also be featured . Finally, after the MPA technology in 2013 and the Addrive system in 2016, Goldhofer will unveil a new technical innovation on its stand on April 8, 2019. This outstanding order consists of 68 THP/SL and 24 PST/SL axle lines as well as four 280 PS PowerPacks. It is destined for one of the largest oil projects in the world, in Kazakhstan. 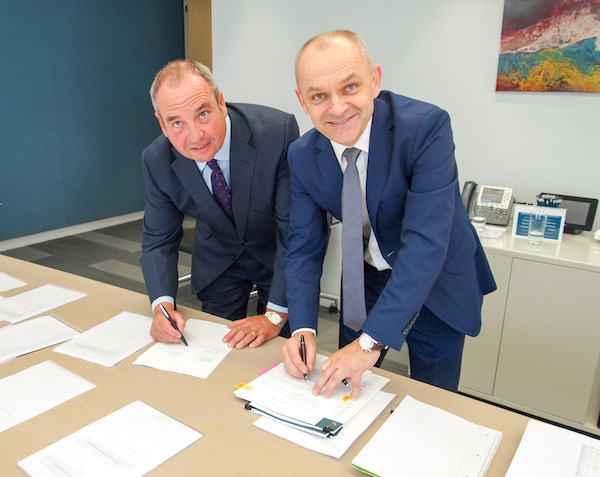 Sarens is responsible for the entire logistics from 2017 until 2020 for over € 450 million, the largest contract in the history of the Belgian group. With a modular design, the THP/SL modules can be configured in all required combinations, while the variable wheelbases and a wide range of accessories enable them to handle loads of varying shapes and sizes. They are also distinguished by their robustness. The PST/SL modules have a tractive force of 160 kN per axle line and are particularly suitable for use in combination with the THP/SL. The four PowerPacks from Goldhofer provide the necessary propulsion for particularly bulky and heavy plant components. 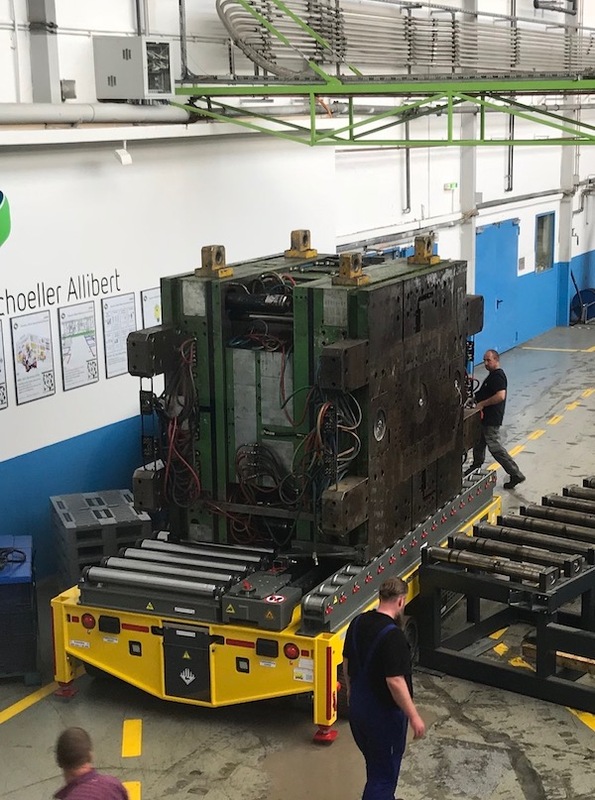 “Goldhofer was the only heavy-duty module manufacturer who could guarantee punctual delivery of high-grade axle lines in a such a quantity within such a short time. 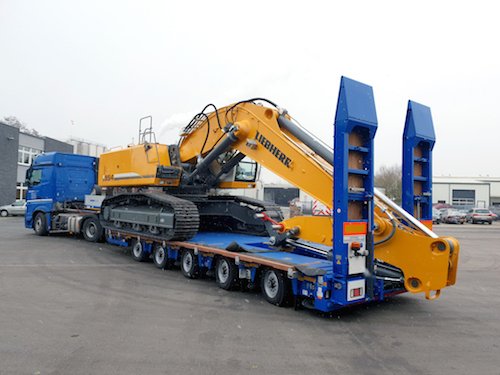 As a result we were able to meet our contractual obligations towards our client, and Goldhofer was able to consolidate its position as a long-serving transport technology partner of the Sarens Group,” said Jan Sarens, Equipment Trade Officer of the Sarens Group. 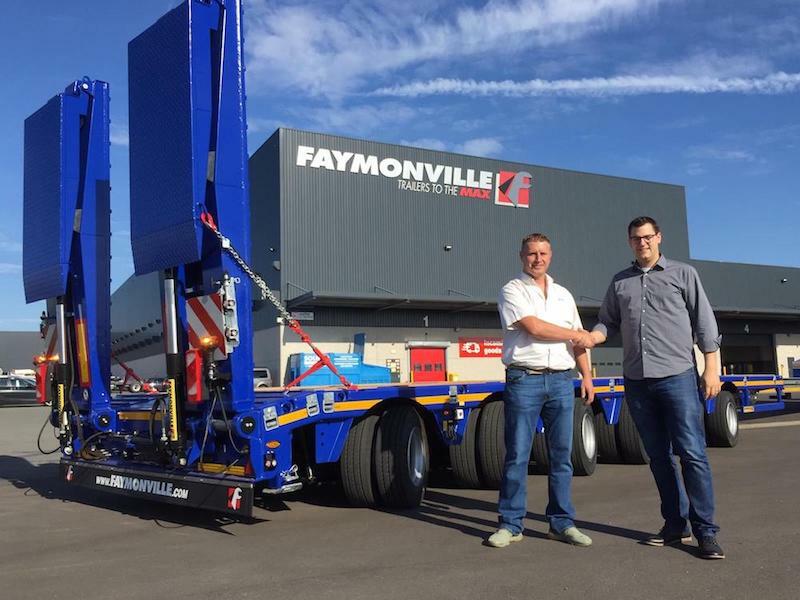 This order increases the size of its Goldhofer fleet to a total of more than 300 axle lines. 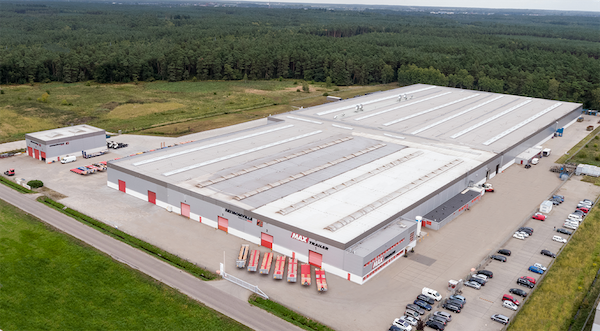 The Polish site of Goleniów, which hosts the manufacturing plant of Faymonville MAX trailers, has been extended to reach a production surface of 40 000 square meters. It is a part of Faymonville’s five production sites. A 210t transformer transport by Scalès with Greiner innovative materials ! In August 2018, the french haulier Scalès took over a 210t Royal SGB-SMIT transformer through Isère and Rhône-Alpes region. 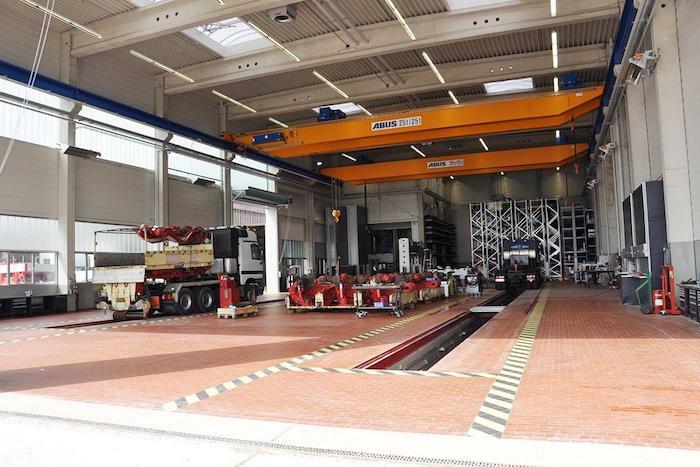 To do so, it called on expertise of the German company Greiner, specialized in the manufacture of trailers and heavy transport solutions, which provided a transport system with high girder bridge. This “KBH 225” helped to go through the most narrow passages, mountain villages, particularly in narrow mountain villages where only a few centimeters between buildings and the transport train was available. The manufacturer realized a novel hydraulic-mechanical articulated arm extension, similar to a hinge system and acted as a bridge. It linked two trailers, with a 2×14 axle lines combination, a maximum load up to 225t and a 1,8m lift. The other particularity of this transport was the versatility of the bridge thanks to its modular conception. Retrofitted with z-girders, a low-girder version could be used during the journey. The full article is coming in the next issue of the Move It Magazine ! 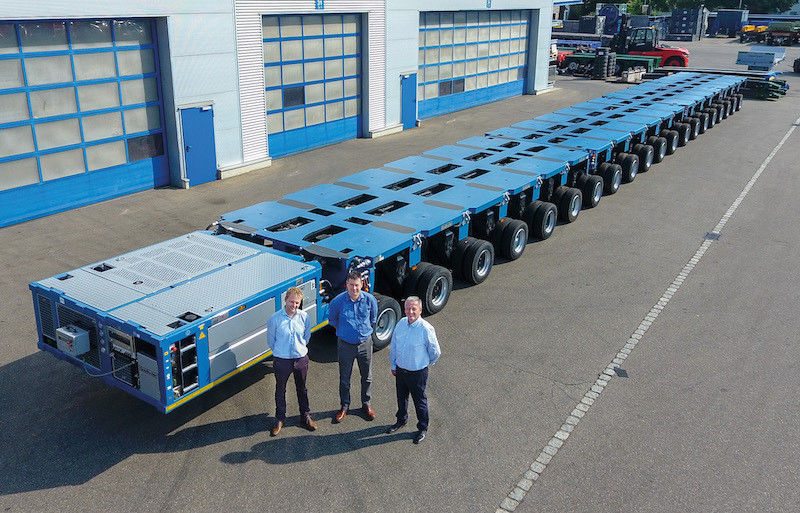 The German company Greiner recently delivered its special vehicle “Sefiro” to Schöller-Allibert GmbH, specialized in production of returnable transit packaging, in Schwerin in Northern Germany. The heavy transport vehicles manufacturer developed this electrical and modular trailer, powered with lithium-ion batteries and a specially developed battery management control system. Its special design makes the machine fitted with an integrated tool changing system, a removable system made up of linear guides and a hydrostatic chain drive. Designed to transport internal payloads over 100t, the Sefiro has been successfully integrated into the manufacturing process of the customer. The full article is coming in the next issue of the Move It Magazine ! 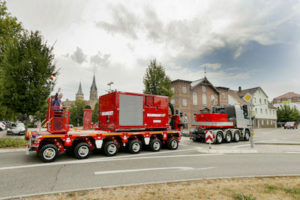 The heavy lifting and specialised transport company Mammoet and the SPMT and trailer manufacturer Scheuerle (member of the TII Group) have recently presented a new trailer system called Trailer Power Assist (TPA), designed to make heavy transport projects quicker and safer. 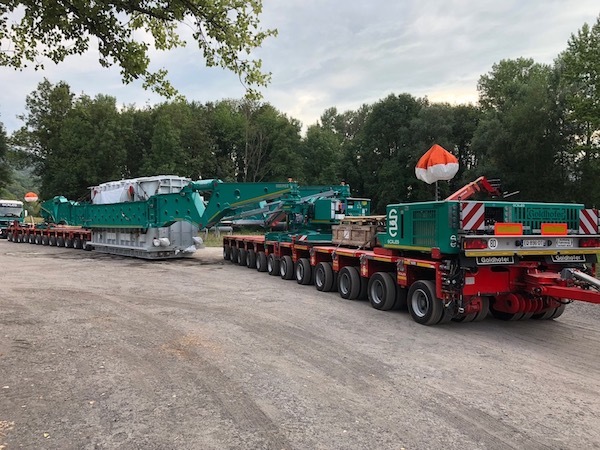 Manufactured by Scheuerle according to Mammoet’s specifications, the first TPA units were unveiled at a ceremony held at Scheuerle’s headquarters in Pfedelbach, Germany. Each TPA trailer has a 1,000 horsepower diesel engine powering a hydraulic system, that results in a trailer with twice the pulling force of a convention prime mover unit but with no ballast requirements. According to the constructor the overall weight and length of transports will be reduced, thus lowering emissions and eliminating the need for multi-truck configurations. 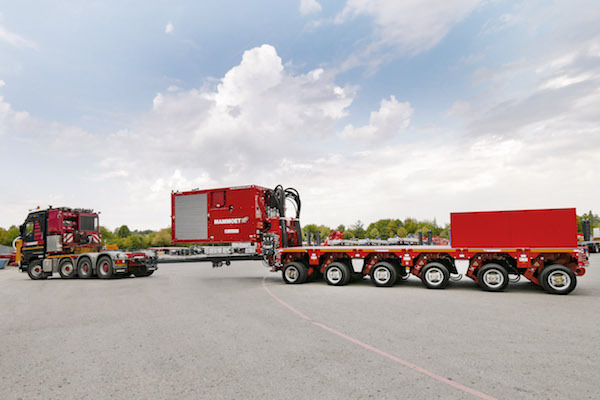 “Trailer Power Assist is the most efficient, sustainable and cost-effective answer for the complex transport demands of large scale construction projects,” said Jan Kleijn, COO of Mammoet. TPA transport solution is based on the self-propelled K25 modular platform vehicle which hydraulically drives four of the six axle lines by means of a Power Pack Unit (PPU). With a performance of 735 kW (1,000 hp) as well as a traction force of 400 kilonewtons, one vehicle in the version featuring a drive unit and a 6-axle platform trailer replaces two fully loaded heavy-duty truck tractors. Designed for international transportation, the TPA has an assisted road speed up to 28km/h, which is up to 20 times faster than a self-propelled modular transporter (SPMT), as stated by Mammoet and Scheuerle. TPA’s hydraulic hub motors can be re-engaged to slow the load down hydrostatically, reducing wear and tear on its brakes, and provide the precision and control required to navigate narrow or winding sections of the route. According to the constructor, by reducing the overall weight of the transport – fewer trailers and less or no ballast – TPA improves fuel efficiency and, by reducing the overall length and number of powered units involved, TPA will reduce complexity, increase project safety and requires only one driver. TPA operates between -40C and +50C and is designed for transporting heavy modules to facilities in remote locations.